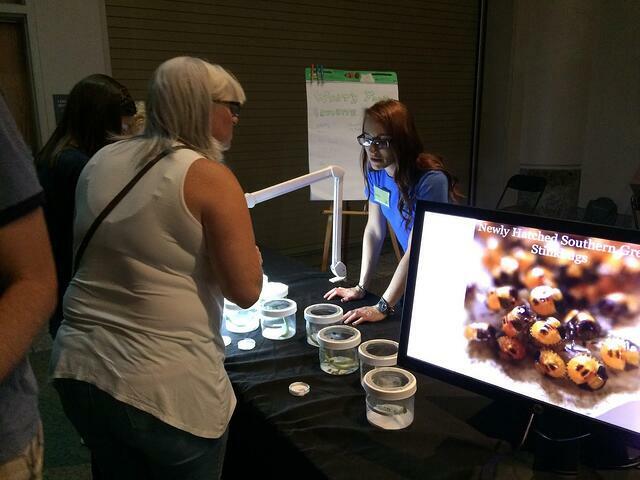 BugFest 2017 was a huge success for the Museum of Natural Science and for the AgBiome team. 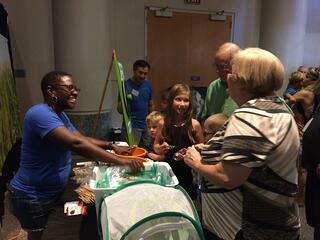 Multiple AgBiomers from the entomology department and other functional groups spent the day showing kids and adults some of the insects we work with each day. On display were several species of stink bugs from our in-house colonies, and corn earworm on corn seedlings. Many people were excited to see the resemblance between adult and nymph stink bugs, while others watched as the caterpillars munched on corn foliage. Everyone was able to get a closer look at the stink bug eggs under the magnifying glass and ask more questions. We kept a tally of everyone’s favorite insect, and butterflies were this year’s winner. 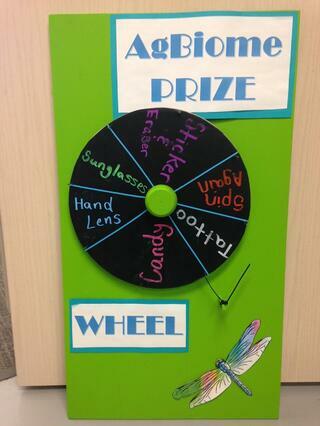 After correctly answering an insect-related question, each visitor could then spin the AgBiome prize wheel to win candy, sunglasses, a hand lens, tattoo, or an insect sticker. The fun didn’t end there! AgBiome also had a photobooth complete with multiple buggy selections to try on for size. 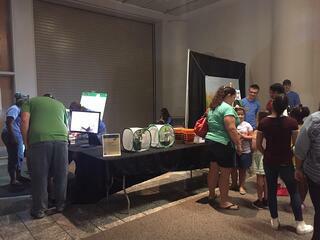 Over 30,000 people attended BugFest, with several thousand of them stopping by our tables to talk with scientists. Raleigh loves insects!